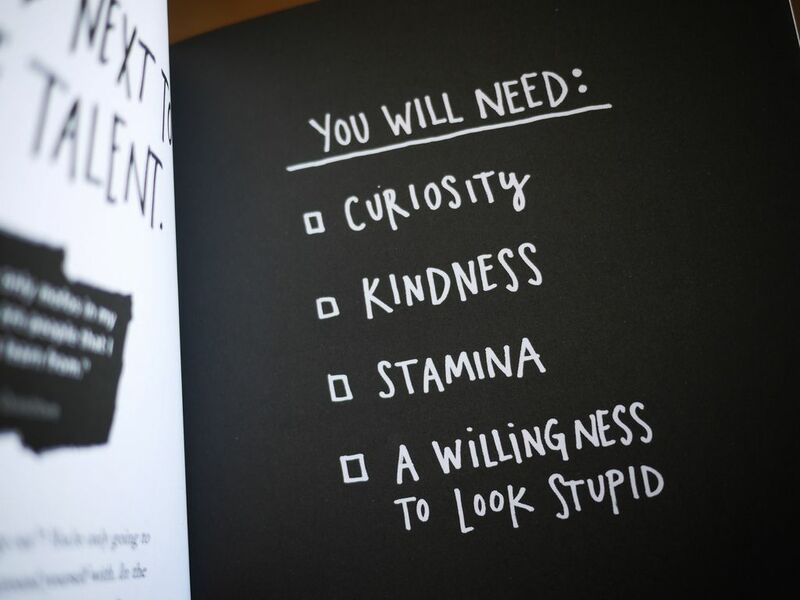 Austin Kleon pretty much starts out his book with the concept by Honore de Balzac: "For artists, the great problem to solve is how to get oneself noticed" and I feel like this really applies to me and cheesily ties into Kleon's title Show Your Work. Just SHOW YOUR WORK. This is something that a lot of people have a hard time doing. I know for me specifically, I was always that person in the back of every creative writing class I've ever taken finding excuses like "It's not finished," "It's too short," "It's too long," or my personal favorite--"I don't think I did the assignment right." But not only did these make me look and feel like a temporary idiot, they are just mere repercussions of my own self-consciousness which makes it just as pathetic. I think in any art form, we consistently look for the approval of others. When we are trying to be funny, or when we are trying to think outside the box, there's always this mentality that we want to be UNIQUE. And who doesn't want to simply just emit freaking vibrant authenticity in what they do? The best writing advice I've ever received from someone was to simply "write for yourself" and this came in the form of continual transgressions due to my inability to write anything that was not reeking of sardonic humor. "So just be funny. Why do you need to be serious?" Good question--why was I trying to be serious? Well, because other people were so good at it and my high school teacher ate that up that's why. The "destructive myths about creativity" that Kleon mentions in Chapter 2 are basically celebrating this same concept. The stupid 17-year old Marissa Kozma attempting to write high school newspaper columns about death and destruction isn't doing herself any favors here. 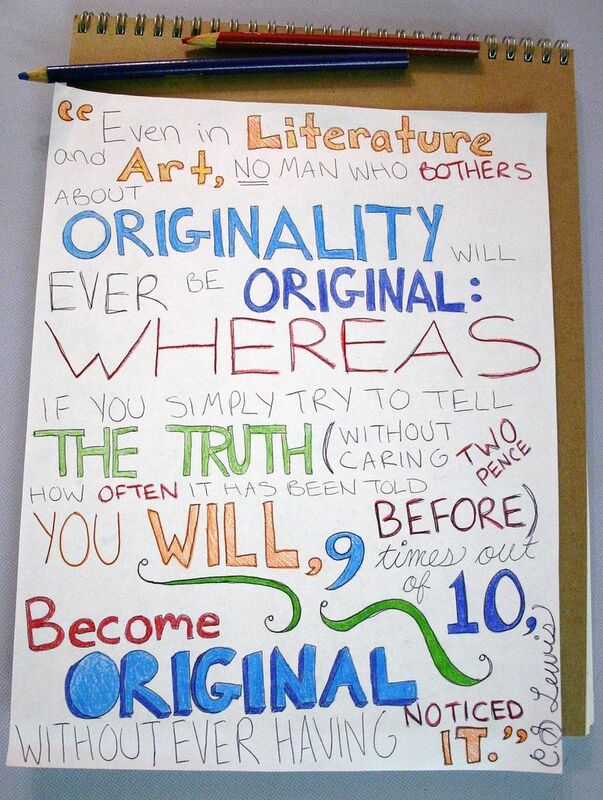 There is no such thing as originality. Everyone is original. Everyone copies each other in one form or another, so why for a second, should you ever feel self-conscious about what you throw out into the world? (Photo Credit: Jill Hinton, Flickr User). Sure you'll receive negative feedback, but you might also receive the positive feedback. Kleon is emphasizing that we are all amateurs. We are all stupid nobodies trying to be somebody, and the people who successfully become somebodies are the nobodies who stopped feeling like nobodies and embraced the fact that they already were SOMEBODY worth pursuing. Being a good artist is just having a lot of guts. Here is also a video on him promoting his other book Steal Like an Artist that explores how "human beings are collectors." (Basically everyone steals from everybody else). I really enjoyed reading your blog post, especially because I can totally relate to everything you were saying. I am in several Workshop classes this semester and I find it very difficult to share my work when its not finished. I feel like I can always do better and anyone that sees me struggling to be my very best will see me as someone who doesn't write that well. I think it is necessary step to improving one's work when sharing it with their peers, despite how finished it may be. When I am beginning to compose a fictional short story or a poem, my inspiration spurs from something that moves me deeply inside. In that sense, I am writing for myself. Not everyone gets my writing because they can't relate. I'm not saying that's a good thing, but it helps to write about something I really care about. I love this. So much. Your final paragraph is particularly wonderful here. This resonates so much with me, this hesitancy of showing my work in fear that it is inadequate. Creativity and writing and art--all those things require taking risks. I got really excited when I saw that C.S. Lewis quote because it is one of my favorites and is one that I often guide my own writing by. I have the opposite problem, in which I try to be funny or too clever, when in reality I'm much more introspective and not funny. I frequently catch myself fighting tooth and nail to be clever and original, and that's not always successful. What I can do, however, is tell the truth. So that's what I try to do in my writing. Also, I was really encouraged by your great insight, when you wrote, "Haters gonna hate." Indeed. I really enjoyed your typography and the overall message of your post. I completely agree with your statement, "I think in any art form, we consistently look for the approval of others. When we are trying to be funny, or when we are trying to think outside the box, there's always this mentality that we want to be UNIQUE." This is something that I struggle with constantly in my creative works. I agree that it is a real challenge not to cater completely to your audience. This is a good post. I especially like the pictures you chose! The message of your post is so moving, I really enjoyed this blog. Good work.